Rolls-Royce said sales in the U.S., the brand's No. 1 market, have been boosted by demand for the new Dawn convertible, which is sold out there through 2016. DETROIT -- Rolls-Royce global sales fell last year because of a 54 percent decline in China -- despite a 6 percent increase in North America. 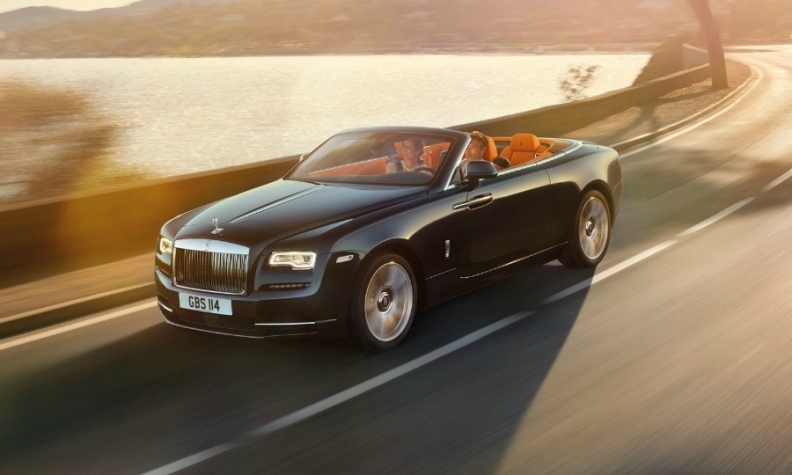 Worldwide, Roll-Royce sales declined to 3,785 cars from a record 4,063 in 2014. The ultraluxury brand does not break out regional sales, but the U.S. represents about 30 percent of global sales. "The U.S. continues to be the top market," said Gerry Spahn, a spokesman for Rolls-Royce Motor Cars North America. While sales grew in other regions, in China, "for the first time, Rolls-Royce went back 54 percent because it was not seen as the right thing" because of the government's campaign against conspicuous consumption, Ian Robertson, BMW Group's sales chief, said last week in a session here with Automotive News. In the U.S., sales were driven by the Ghost sedan, while sales of the Wraith fastback were flat, Spahn said. Spahn said the percentage of customized features -- a major revenue source for the brand -- was up 20 percent in North America, the second highest after the Middle East. In the U.S., the all-new Dawn convertible based on the Wraith is sold out through 2016, "and most of 2017 is also sold out," Spahn said. Deliveries of the car, which has a base price of $337,750 including shipping, begin in April.